This really is a premium synthetic absorbent which is unlike any other filtration product. 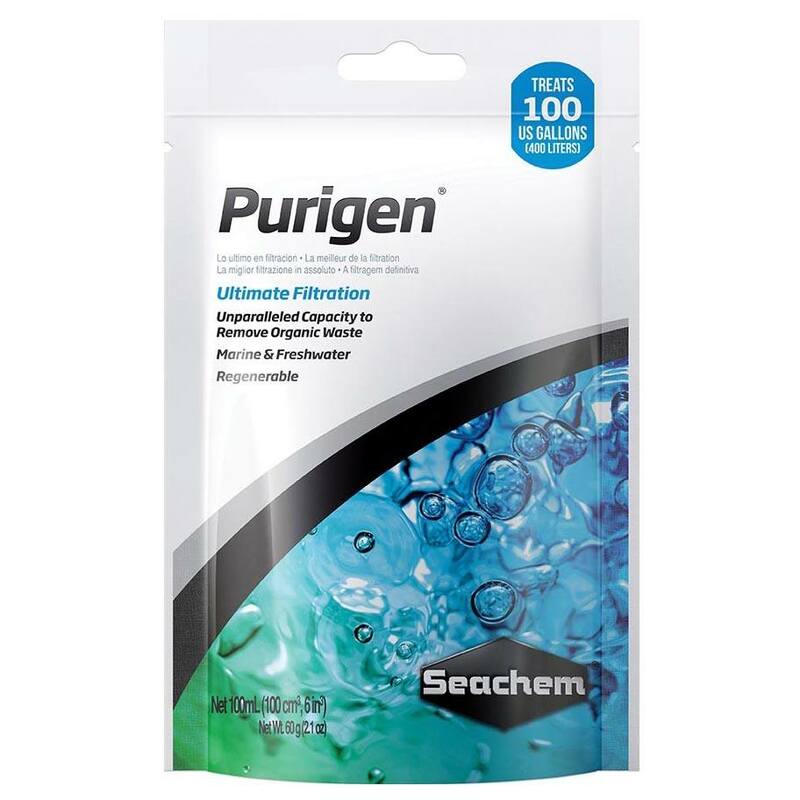 Purigen is an extra fine filtration media which is placed in a fine mesh bag and placed within the filter, as the water passes through, it then gets to work absorbing nitrogenous organic waste that is present in the aquarium.By removing this waste it then controls ammonia, nitrate and nitrite ,preventing them causing major problems. we recommend that you always support your bricks and mortar stores , the staff within the stores can give you advise on your fish and recommend the correct products for your aquarium. A full list of dealers can be located on www.seachem.co.uk – if you cant find what you are looking for please message us.